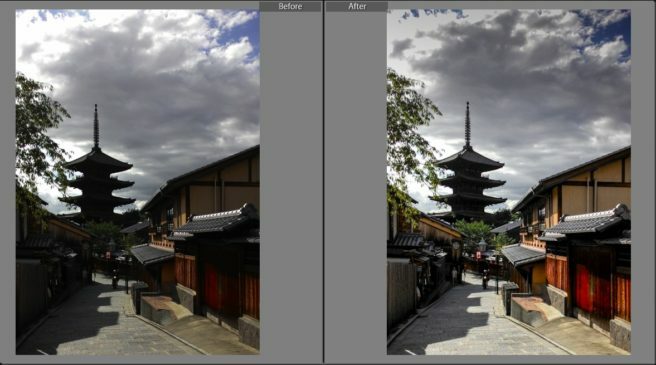 Kyoto Alley: Before & After with Lightroom – Look Through The Lens? Will you? Playing with Lightroom, I found a few tips about how to rescue something from this image. The sky looks very dramatic now, and the details of the temple are almost visible. However, the large road slabs have lost some visibility. Not sure how to restore that… yet.